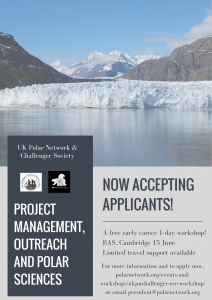 The UK Polar Network and Challenger society are happy to announce our free 1-day early career workshop on Project management, outreach and polar sciences! A hands-on approach will be taken for the workshop and by the end attendees will feel confident employing project management skills to various tasks in their day-to-day activities. This event will be hosted at BAS in Cambridge on 15 June 2017. The event is free to attend. 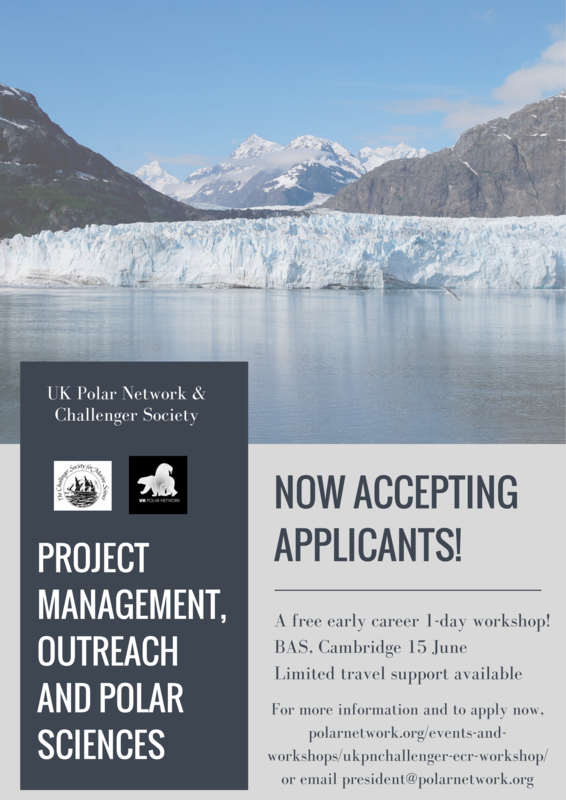 Lunch and refreshments are provided, and there is limited travel support available which can be applied for. "Very enjoyable & useful day, fun to plan logistics"
"..it allowed everyone to have fun & be imaginative"
"Very interactive, enjoyable and useful"
"Great to spend time thinking about outreach, I feel this is really important but never really gets enough attention"
"An excellent workshop & I will use these skills in the future"
If you wish to attend, please fill out this form and return to president@polarnetwork.org by 30 April (if you require travel support) or 31 May for the event in June.